When you&apos;re heading out on vacation with the family, it can be hard to please everyone. One kid likes to swim, the other likes to fish. Your spouse wants to enjoy some adventuresome activities, while you&apos;d prefer a quiet hike. But if the Minocqua area is your destination, no worries. Here, there is an activity — or two or three or four! — that everyone will enjoy. It doesn&apos;t matter if your definition of "boat" is a speedboat, pontoon boat, kayak, canoe or paddleboard, Minocqua won&apos;t disappoint. The area is saturated with thousands of freshwater lakes, rivers and streams (one of the highest concentrations of fresh water bodies in the world), which equates to water fun for everyone, from the kids to the grandparents. Outfitters abound, so you don&apos;t have to own and tow your own watercraft here. Tours are available, too, for those who don&apos;t want to plan a route or find an appropriate site. 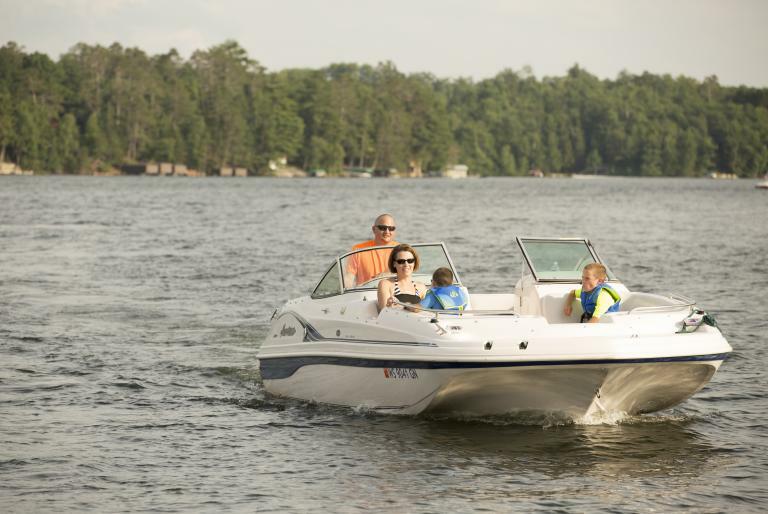 Some of our favorite area lakes to boat include Big Arbor Vitae Lake, Lake Tomahawk and the Minocqua Chain of Lakes. 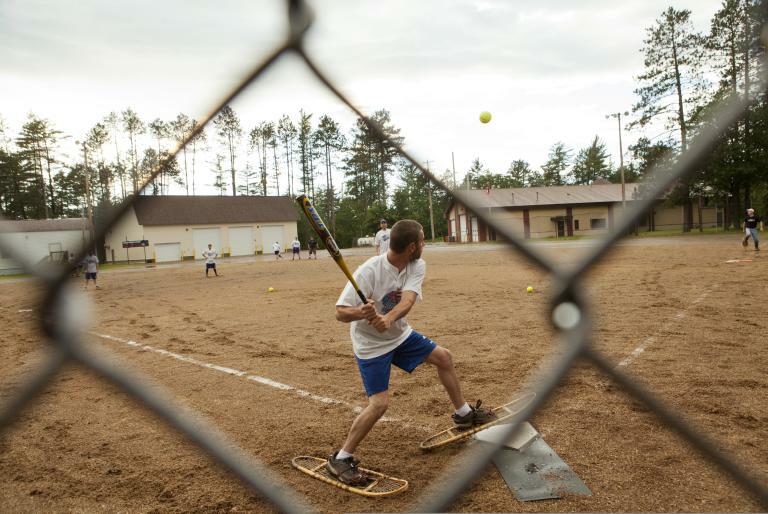 For more than half a century, people have been strapping on snowshoes and playing baseball in the Northwoods. If you have never witnessed this firsthand, you are in for a treat! Games often draw over a thousand people to Snowshoe Park in Lake Tomahawk on Monday evenings throughout the summer. However, the homemade pies local women make and then sell for charity at the concession stand are probably just as big of a draw! Get there early to reserve a seat in the stands, or better yet, bring a blanket or chair. 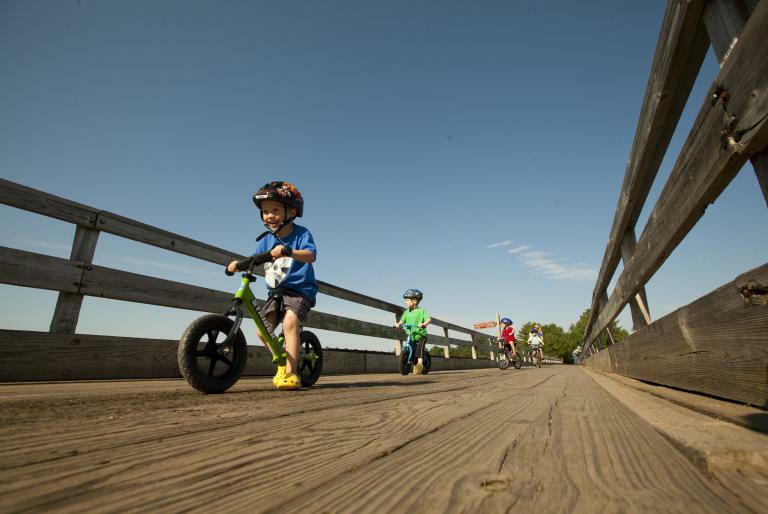 The Northwoods offers many miles of dedicated trails, perfect for families. And the most popular trail is the 18-mile Bearskin Trail. A compact-granite recreational path, the trail traces an old railroad corridor that once ran along Bearskin Creek. Besides being free of motorized vehicles, the pretty path leads you across numerous old railroad trestles that stretch across sparkling lakes and streams. Deer, bald eagles and other wildlife are commonly seen from the trail. 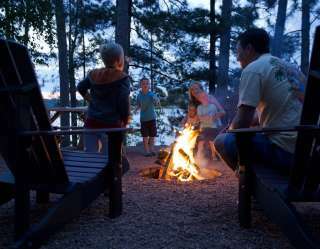 There are a variety of must-see attractions in the Minocqua area, many of which have been entertaining families for generations. Fred Scheer’s Lumberjack Show, Woodruff, features the talents of performers who log roll, climb poles and boom run, in addition to other entertaining antics. 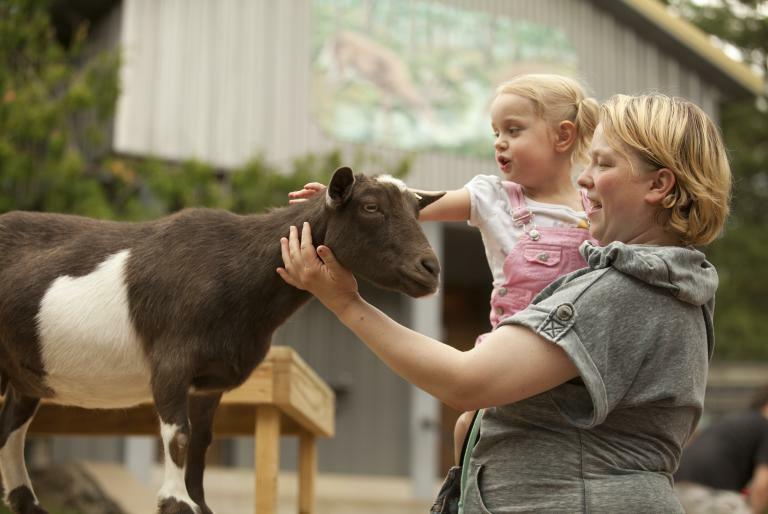 Wildwood Wildlife Park & Safari recently unveiled a new Serengeti Giraffe habitat and safari tram ride that brings visitors close to animals from other continents; it’s the only one of its kind in Wisconsin! And Northwoods Zip Line offers more than one mile of zipping along nine different lines. The multi-hour trip takes you through 100-foot white and red pine forests, over ravines and through valleys, and new this year offers Argo ATV tours through a 900-acre trophy deer farm. When the sun has set, it&apos;s time to build a roaring fire near one of the area lakes. Then sit back with a glass of wine while the kids roast marshmallows and enjoy the beautifully haunting call of the loons.